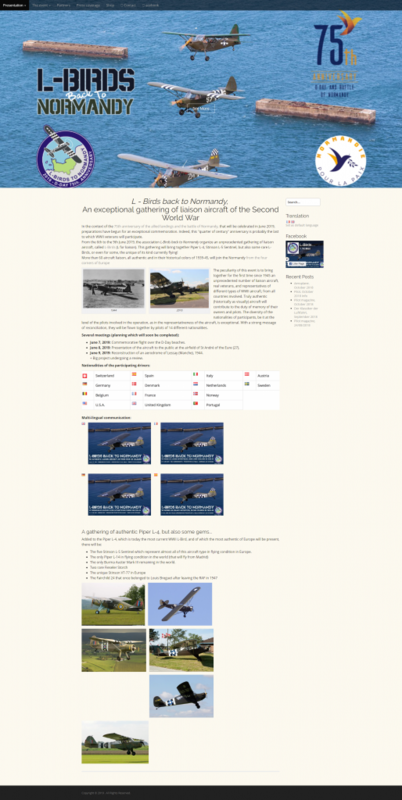 This website: http://l-birds.fr/en is the homepage / gathering point for an exciting event coming up in Europe this summer around the commemoration ceremonies for the 75th anniversary of the D-Day invasion of Normandy, France in 1944. From what I’ve heard, over 70 pilots are hoping to bring authentic, WWII-era liaison aircraft to this gathering, which sounds spectacular. If any of our readers are planning on attending, it would be fabulous to hear about the event and see some photos! This entry was posted in Associations, Gatherings, History, Liaison Aircraft, Liaison Restorations, Piper L-4, Stinson L-5. Bookmark the permalink.